Win this free kit !!! 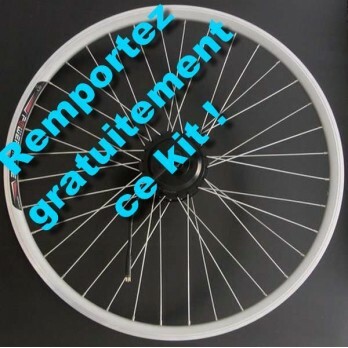 After clicking "I love" the page"Your best montages VAE"
made from our kitsPower E-bike andvote! You can invite your Facebook friends to also vote for you, we will consider all votes cast on each picture! good chance at all !!! This promotion is not managed or sponsored by Facebook. The information you provide are for Power E-bike and not to Facebook. The information you provide will only be used to contact you in the competition.